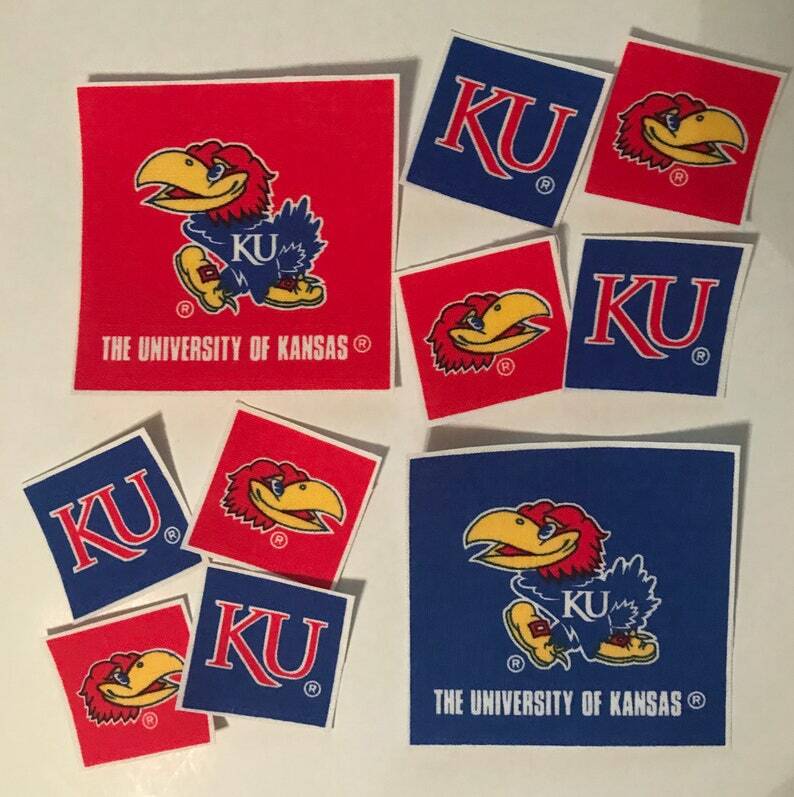 Includes one set of 10 University of Kansas Jayhawks appliques made from quality cotton fabric, with an iron-on backing. Perfect to make t-shirts, sweatshirts, tote bags, sports pillows ....or decorate curtains, bar BQ aprons, placemats...the possibilities are endless! 8 appliques measure approx. 1 1/2 " and 2 appliques measure approx. 3"